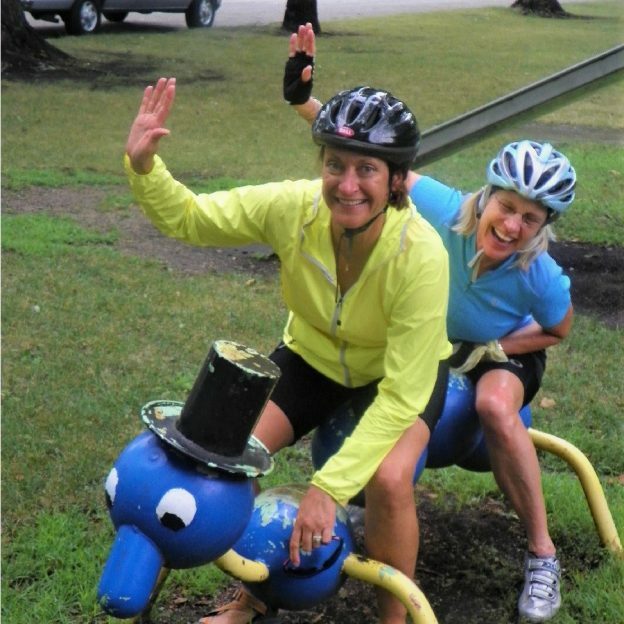 Here in today’s bike pic, we reflect back to some cycling memories a few years ago when these bold north biker chicks cycled along the Minnesota River, having fun along the way. They pedaled from the rivers headwaters, on the South Dakota border to the Mississippi River, in the Twin Cities. What better way to plan your upcoming riding season and #NextBikeAdventure then to check out the 2018 Minnesota Bike/Hike Guide. This entry was posted in Picture of the Day and tagged bicycling, bike commute, bike minnesota, bike tour, bike touring, bike tourism, Biker chicks, fun bike picture, Minnesota River Ride, pic of the day, pictureperfect, Ride across Minnesota, road bike on March 27, 2018 by Russ Lowthian.